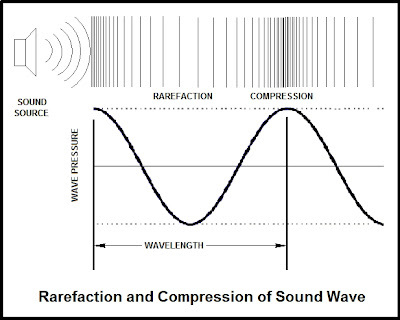 The frequency of a wave is measured as the number of complete vibrations of particles of a medium per unit time. A commonly used unit for frequency is Hertz. Pitch is an auditory sensation in which listener assigns musical tones to relative positions on a musical scale based on the frequency of sound. A high pitch sound corresponds to a high frequency sound wave and low pitch sound corresponds to a low frequency sound wave. When the length of a string is changed, it will vibrate with a different frequency. Shorter strings have higher frequency and therefore higher pitch. Diameter is the thickness of the string. Thick strings with large diameters vibrate slower and have lower frequencies than thin ones. Tightening the string gives it a higher frequency while loosening it lowers the frequency. Very low frequencies of sound that the human ear can’t detect, but you mayfeel the rumbling of the waves through your body. Normal range for human ears, although not everyone (especially the elderly) will hear to the extremes of this range. Beyond normal hearing for humans, although some animals (like dogs) hear part ways into this range. Also used in medicine (e.g. ultrasounds for pregnant women). Can you sing this high-pitched song? This page is dedicated to you on my lesson about the pitch of the sound. God really loves you and gives you the gift of high-pitched sound. Thanks for your song!